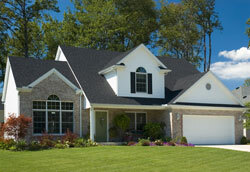 Jacksonville Property Management, Jacksonville Property Managers, Jacksonville, NC Property Management Companies. We know that you expect not only expertise in the real estate management industry, but also the highest quality customer service provided by an experienced, caring team that knows Jacksonville and its surrounding areas better than anyone in the business. 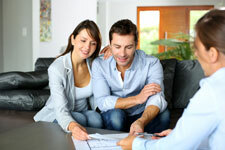 Advantage Gold Realty is Jacksonville’s Premiere Real Estate Management Company. Our company provides you with the highest quality management service at an affordable rate. As a testament to our quality service, we continue to grow every year through referrals from our satisfied clients and customers. or commercial ventures in Camp Lejeune, Jacksonville, Richlands, Sneads Ferry, or Topsail area, you can count on us to save you time, money, and any worry associated with your valuable investment. There are many reasons for our success in the Jacksonville, NC area, but the most important one is our TEAM! Years of experience, continuous training, and dedication to customer service guarantee reliable, affordable Residential and Rental Property Management Services for Jacksonville, NC and beyond. Our Property Management Company is committed to helping you realize your investment goals, enhance your rental value and the future market value of your property, develop productive relationships with you and your tenants, and give prompt, courteous attention to everyone’s needs. The early history of Jacksonville starts with the end of the Tuscarora wars in 1713. The forced removal of Native American tribes allowed for permanent settlement of the regions between New Bern and Wilmington. The headwaters of the New River became a center of production for naval stores, particularly turpentine. The County of Onslow was formed in 1731, from New Hanover. It was named in honor of Arthur Onslow, who for more than 30 years was speaker of the House of Commons in the British Parliament. In the early years the county court, which also operated the government, sat at several different locations. After the storm of 1752, a fire, and other calamities destroyed the courthouse in what was called the town of Johnston, a new courthouse was ordered to be built at its current location Wantland’s Ferry, later known as Onslow Courthouse. The resulting town and county seat, which eventually became Jacksonville, was until 1819, known as Wantland's Ferry. In 1842 the town was incorporated and renamed Jacksonville, in honor of former President Andrew Jackson. That changed after December 15, 1940, when the decision was made to locate Camp Lejeune in Onslow County. Prior to that time, private business was conducted in the county courthouse because there was no other place. Former newspaper and magazine editor Billy Arthur wrote, “Agricultural income was $4 million from tobacco, corn, peanuts and hams. The fishing industry was comparably profitable.” He described the town before Camp Lejeune as quiet and where the most profitable business was operating a restaurant that fed the 10-member Kiwanis Club. Within a few days, the population doubled from 800 to 1600, with hundreds more workers coming to the area to work on defense projects as part of the war effort. Property values escalated according to how close they were to the base of operations. The Riverview hotel was taken over by the Navy for the construction headquarters. The Register of Deeds office stayed open late into the night to accommodate the condemnation of land and the recording of the deeds.